By-product of biodiesel production. Where to use Glycerol? Home / Publications / By-product of biodiesel production. 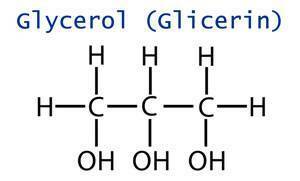 Where to use Glycerol? The worldwide interest in biofuels is especially important now, caused by the progressing depletion of crude oil resources. Within the two last decades, not only specialized laboratories, but governments actively work on the idea of using vegetable oil and animal fat to produce renewable environmentally safe biodiesel fuel for diesel engines. Biodiesel fuel is a mixture of monoalkyl esters of long chain fatty acids, obtained from vegetable oil or animal fat. It can be used straight or blended with regular diesel. The most commonly used blend B20 contains 20% biodiesel and 80% regular fuel. Experience of many countries offers much proof that development of biodiesel industry is tremendous social and political importance. The world produces approximately four million tons of biothanol and biodiesel. Globally, biofuel production may be a saving hand for agricultural trade. Within the last 50 years the volume of agricultural trade in the world dropped from 50% to 8%. All effort by the WTO to liberalize agricultural markets have met with insurmountable blocks. Each nation attempts to protect its producers with various measures, such as export subsidies, high import duties and other measures. The result is that the powerful national support for agricultural producers from the more developed countries blocks the farmers from the less developed countries, which have no access to large scale subsidizing, from the world market. Besides, biodiesel production also includes production of glycerine, a product used in many industries (see Table 1). Pharmaceutical industry Medicine production solutions; pills; increasing viscosity of liquid medicines; protection from enzymatic changes during liquid fermentation and drying of ointments, pastes and lotions.